The realisation of 100 STRINGS is the masterwork of Santoor Maestro, Ustad Kiranpal Singh. The album was recorded in Abbey Road and forms part of a long tradition of Indian musicians being recorded in this place of rich musical heritage. 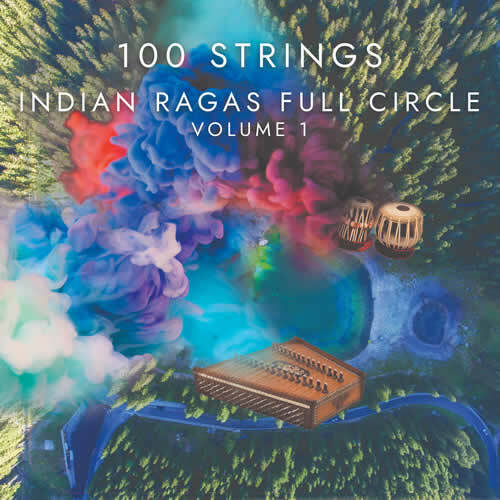 100 Strings is thought to be the first complete Indian Classical album recorded in Abbey Road. Santoor Maestro Ustad Kiranpal Singh is an eminent exponent of the Indian Classical Santoor, an instrument with one hundred strings that is unique to the Himalayan Valley of Kashmir. Its strings when struck percussively with a pair of delicate wooden mallets create ethereally resonating sounds, smooth melodic lines and vibrant tonal effects. When heard together with the rhythmic Tabla accompaniment by Dheeraj Sahai-Mishra, the listener is transported at once into deep nature and a sense of one’s place in the cosmic tapestry.